Way out west in Cactus County there was a horse named Calico. She wasn't very pretty, but she was smart and could run like greased lightning. Everybody in Cactus County was happy until the peaceful inhabitants' cattle were stolen by a band of outlaws led by Stewy Stinker, a man so mean that he'd hold up Santa Claus on Christmas Eve. In comic-strip format, this action-packed western drama is complete with cattle rustling and kidnapping, a stampede, a holdup, and a thrilling chase. 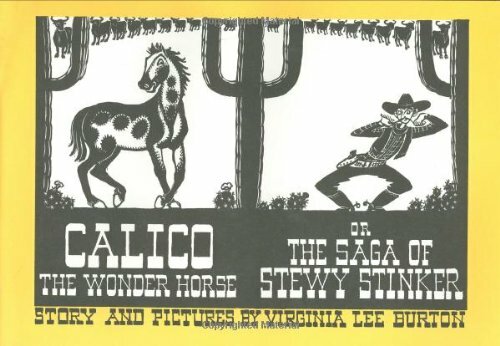 From start to bang-up finish, Calico outruns and outsmarts the double-dyed villains - and, of course, saves the day! This equine hero is sure to win a new generation of fans with this Wild West adventure.